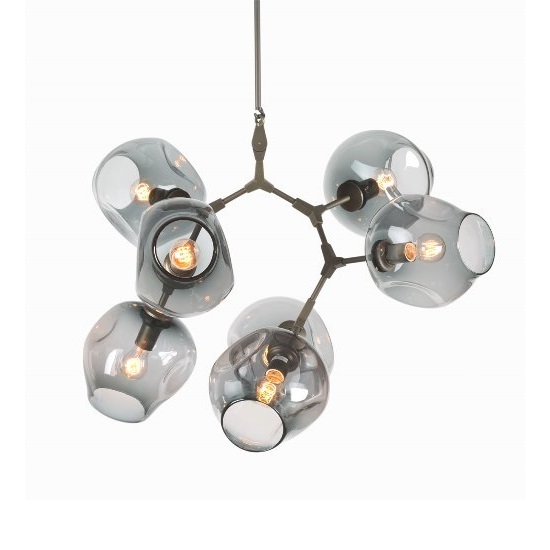 Finding the perfect fixture can be a little overwhelming. 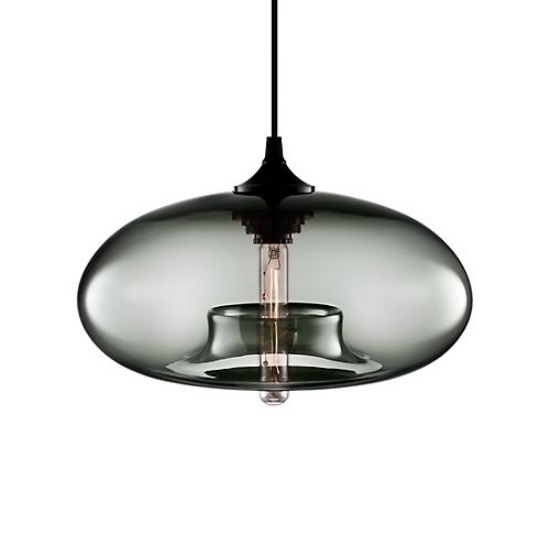 Just look up at a lighting store and it's one beautiful piece after another. 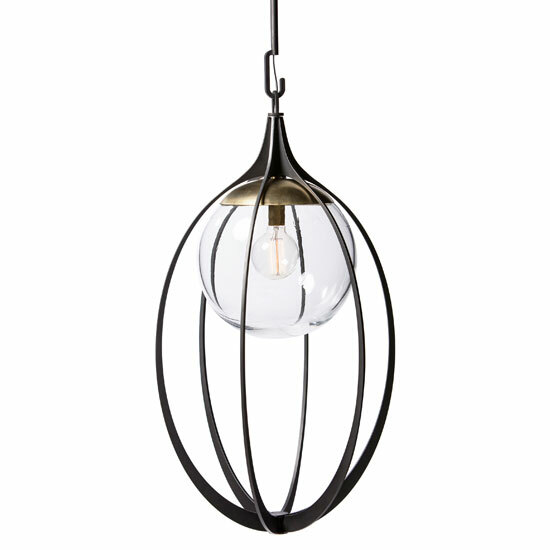 Lighting design changes so quickly so the trick is to get something you you really love with a hint of different, because something fabulous is around every corner. 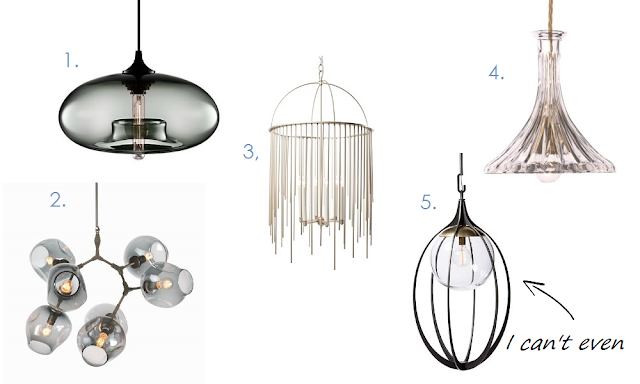 Here are my picks for fabulous lighting that you won't tire of any time soon. The perfect mix of a beautiful classic with interesting lines. Hand made blown glass by local NY glass artisans. I picked the smokey finish, but you will faint when you see the perfect colours they are available in. So simple and elegant, but makes a real statement. It's available 2 feet wide and 42" High. This hand cut crystal classic will sparkle with delight. A variety of shapes can hang in clusters for a beautiful centerpiece. 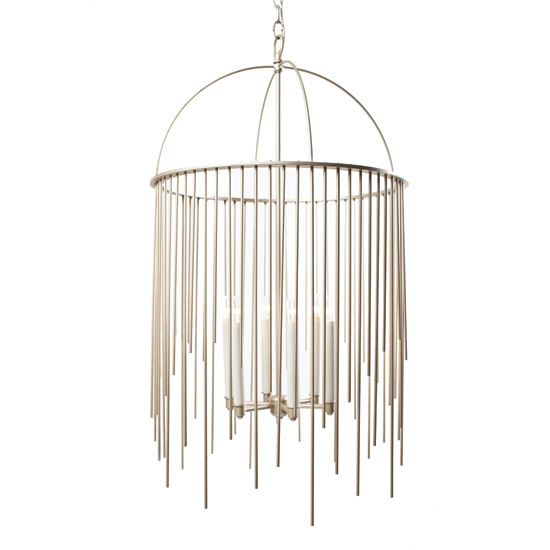 This elegant piece is beautiful in any setting. 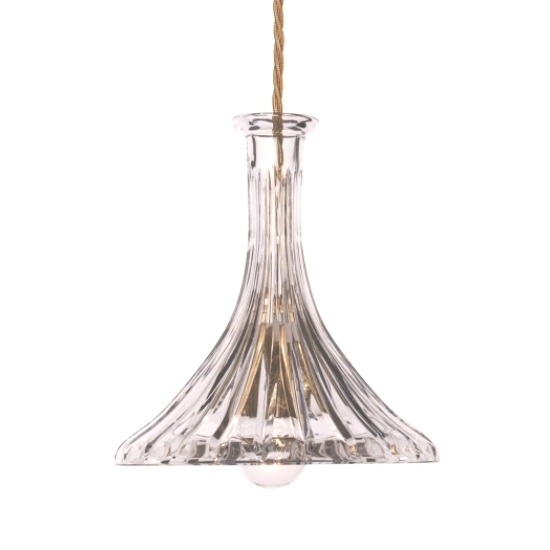 The lines are simply superb with mixed metals, and blown glass orb in the center. I think this one is my favorite! And there you have it! A simple selection of lights that light me up!